This patient in the video belowpresented to me two months following his second ACL reconstruction (as he tore through the first patellar graft). Although the patients ROM was “reasonable” (I would have wanted full ROM by this time), he complains of a feeling of tension and discomfort around the scar. Assessment of the knee demonstrated that the scar site was adhered to the underlying connective tissue causing abnormal fascial tension with flexion, as well as axial rotation of the knee. Langevin HM, Bouffard NA, Badger GJ, Churchill DL, Howe AK. (2006.) 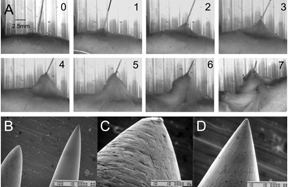 Subcutaneous tissue fibroblast cytoskeletal remodeling induced by acupuncture: evidence for a mechanotransduction-based mechanism. J Cellular Physiol 207(3):767-774. Langevin HM, Bouffard NA, Badger GJ, Iatridis JC, Howe AK. (2005.) Dynamic fibroblast response to subcutaneous tissue stretch ex vivo and in vivo. American Journal of Physiology-Cell Physiology 288:C747-C756. Langevin HM, Konofagou EE, Badger GJ, Churchill DL, Fox JR, Ophir J, Garra BS. (2004.) Tissue displacements during acupuncture using ultrasound elastography techniques.Ultrasound in Medicine and Biology 30: 1173-1183.
can you briefly explain who the audience is as well as the topic of the event please?